New rules on organic food and labelling offer many benefits for farmers and consumers. Watch our video and read our interview with MEP Martin Häusling for details. On 19 April MEPs adopted new rules on the certification and labelling of organic food. The legislation will improve checks along the supply chain, ensure that all imported organic products comply with strict EU standards, and allow group certification for small producers to save them time and money when turning organic. It also aims to increase the supply of organic seeds and animals on the market. 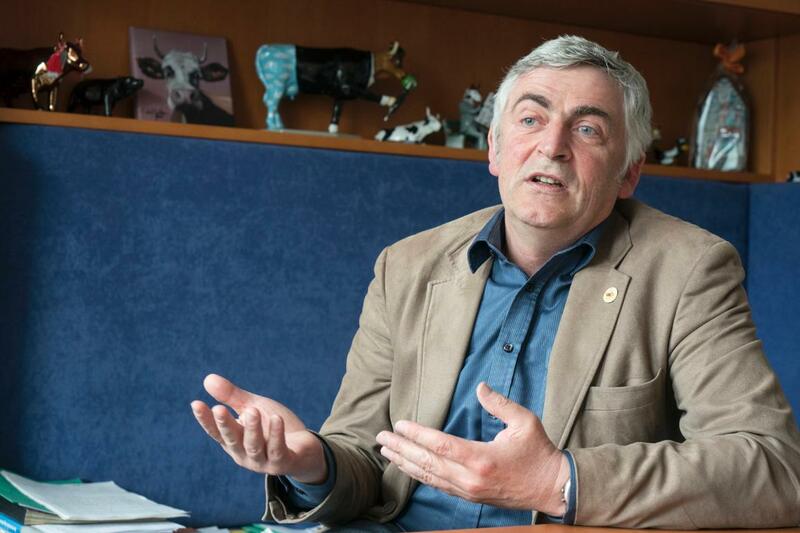 German Greens/EFA member Martin Häusling, the MEP responsible for steering the plans through Parliament, reveals about the benefits in our interview. What are the main points of the reform on organic farming and why was it necessary? The reform meets the new challenges of organic farming. The sector is booming. There will be more consistent controls against fraud, but also better precautionary measures against contamination. Imports of organic products will have to meet the same standards as within the EU. The new regulation includes rules on agricultural production, animal husbandry and aquaculture, creates better information systems between member states and harmonises responsibilities and certification systems. It lays down the principle of soil-bound plant production, also in greenhouses. An exemption for demarcated beds (approximately 18 ha) in Scandinavia remains in force for another 10 years. Completely new are rules on the use of seeds. In future, providers will be able to offer more locally adapted traditional varieties, that are often more robust and disease-resistant. Until now, unlike in the USA, these varieties could not be used or only sold under difficult conditions in Europe. What are the benefits for EU farmers? There are many! For example group certification: small producers and processors will be able to form a group, which will reduce the costs of certification and controls. Or when it comes to imports: the harmonisation of production standards for [non-EU] countries with which no bilateral trade agreements exist, will bring them into line with European standards. At present, we have more than 64 different production standards all over the globe. EU farmers can therefore look forward to more equal conditions in the future. Parliament has succeeded in maintaining annual process-oriented controls. However, an inspection interval can be extended to 24 months if no irregularities or infringements have been found in the last three years. Furthermore, the exchange of information will be improved. Organic breeders will be able to offer their products publicly via member state platforms. Farmers and gardeners as well as member states and the European Commission will have a better overview of the availability of organically bred plants and animals. The organic food industry is no longer a niche market. How will the new regulation meet the quality demands of consumers? How will consumers benefit from the new rules? Organic standards are already very high, but consumer confidence can best be strengthened when the rules are clear and comprehensible. The new regulation wil certainly make a positive contribution here. Moreover, many of the rules that give producers security are also beneficial to consumers. The annual process-oriented controls mean consumers can be sure companies are inspected regularly. The new rules on imports are also positive for the consumer, as they will benefit from the harmonisation of high standards. Animal welfare rules have been improved. Tail-docking and teeth cutting for pigs are banned. Beak trimming is still allowed but only in the first three days of life. Tail-docking for sheep and dehorning are allowed only exceptionally and on a case-by-case basis. Additional provisions improving housing conditions for pigs have also been added. A major issue is the use of pesticides. How will this be regulated? Although the question of thresholds for pesticides has been the subject of a heated debate, the new rules are not very different from the current legal situation. Organic businesses and operators must continue to take precautionary measures, especially during storage and transport. Member states can continue to require farms to comply with special thresholds that are stricter than the current limit values for pesticides in foodstuffs. A new requirement is that the authority or control body must act promptly when there is something suspicious. It is important to address the issue of pesticide residue management also in the future. Certainly, the sector and the politicians and experts of the authorities should continue to work intensively on the issue and develop minimisation strategies, also with a view to maintaining consumer confidence.